Posted on March 8, 2015	by Katy K.
It’s another Sunday at the library, so I thought I’d share with you what we’re all reading right now. I just returned a bunch of books yesterday, bringing my personal number of library books checked out to under 50 – but I’m guessing with the ones my love has out, and most especially the piles of books my daughter delights in bringing home from the school library, that we’re still well over 50 total library books in the house right now. The numbers have gone down as I’ve read and returned them… these are the ones still out and in the general book basket rather than being read by anybody specific. 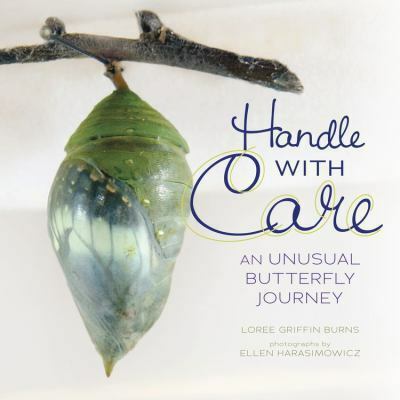 Handle with care : an unusual butterfly journey by Loree Griffin Burns – read to my daughter, who enjoyed it. 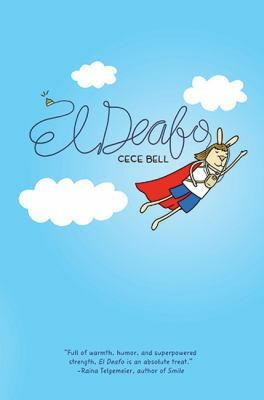 El Deafo by Cece Bell is the Cybils MG Graphic Novel winner and Newbery Honor Book, which I’m reading aloud to my daughter. She’s loving it, and my son was also sneaking in to listen and then continuing on his own, a sure sign of a great book. 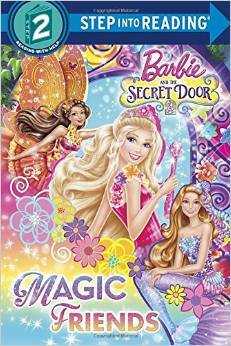 Barbie and the Secret Door: Magic Friends by Chelsea Eberly. This is not what I’d call a great book, but it demonstrates what I often tell parents: interest trumps reading level. The girl is reading this book aloud nearly perfectly, though it’s a year or two past what she’s able to read in school. Sleeping Beauty by Mahlon F. Craft – because the three or four versions we have at home already were no longer enough. The last king of Angkor Wat by Graeme Base – picked by my colleague as emergency reading when my daughter was in the ER a few weeks ago. The princess gown by Linda Leopold Strauss – ditto, and one of her favorite books. We loved it! Stars by Mary Lyn Ray and Marla Frazee – guility, I’ve forgotten which book blogger was sharing favorite Marla Frazee books a while back – but I was inspired to put this on hold, and it just came in. Just lovely! The Noisy Paint Box by Barb Rosenstock and Mary GrandPre – a 2015 Caldecott honor book. The girl is crazy excited about this book, looking at it by herself, wanting it read aloud, and making her teacher read it aloud to the class. Nana in the City by Lauren Castillo – also a 2015 Caldecott honor book. It’s a great story of an active grandmother, but more of a toddler/preschool book. The adventures of Beekle : the unimaginary friend by Dan Santat – Hooray! We loved this one, and it’s also been shared widely. Eve of the Emperor penguin by Mary Pope Osborne – in print, to go along with the audio books for the car. Magic Tree House Books 36-41 by Mary Pope Osborne (three audio cd sets) – now that we finished Ivy & Bean, the girl has asked to go back to Magic Tree House. 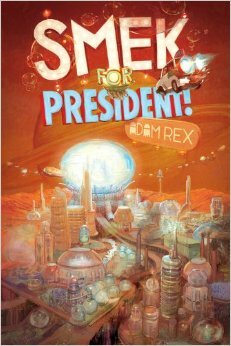 Smek for President by Adam Rex is our current read-aloud, and one I purchased because we loved The True Meaning of Smekday so much. Will we be able to finish it before Jinx’s Fire comes out on the 24th??? The Dumbest Idea Ever by Jimmy Gownley – a Cybils MG Graphic Novel finalist, which I read first and passed on to him. It’s inspiring him to create his own comics – yay! The Burning Bridge by John Flanagan – for his school DEAR time. The life and times of Genghis Khan by Jim Whiting and Genghis Khan by Judy Humphrey, for a school biography project – he was so excited he dropped what he was doing and sat down to look through these when I brought them home for him, his school library not having anything on the topic. The Search for WondLa by Tony DiTerlizzi (audio cd) – starting a new series, as we couldn’t get the next book in any of the series we were listening to. 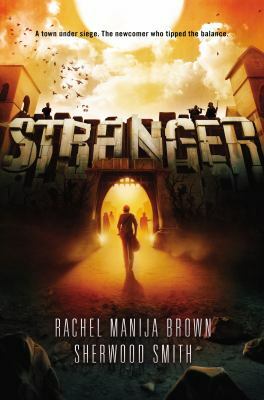 Stranger by Sherwood Smith and Rachel Manija Brown – because so many of my blogger peeps loved it. It’s fantastic so far! The little white horse by Elizabeth Goudge – a classic. Somehow I’d only read her non-award-winning book, Linnets and Valerians. Brown girl dreaming by Jacqueline Woodson – this book is covered in awards, and I’m so glad I finally read it. It is just beautiful! The Crossover by Kwame Alexander – winner of the 2015 Newbery. Had Brandy at Random Musings of a Bibliophile not raved about this one, I might have put off reading it longer – crisis averted! It is amazing. I brought both this and Brown Girl Dreaming in for my son’s teachers to peek at. While We Run by Karen Healy – this and the next are more Cybils Teen Spec Fic finalists. I had to take Winner’s Curse back and put my name back on the list for it. Sad face. Fairest by Marissa Meyer – I’m not sure I’ll love this as much as the other Lunar Chronicles – but I still hope I can get to it before it comes due! 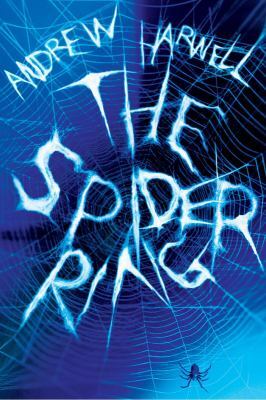 The Spider Ring by Andrew Harwell – and as if I didn’t have enough on my plate as it is, I read this moving blog post by the author in response to Shannon Hale, saying how he was the boy sneaking “girl books” out of the library and hoping he wouldn’t get caught. Naturally, when I saw his book was checked in, I had to take it home. Probably not general interest – but hey, I’m going to be teaching a one-hour class on the music of the 13th century next month, and these are some of my research books. Fun times! This entry was posted in Books and tagged state of the book basket. Bookmark the permalink.